Win an exciting one night stay for two people at the Royal Adelaide Hotel (with breakfast), with a three course dinner, and two tickets to Windsor Castle. Originally built for Queen Adelaide, the consort of William IV, in the mid 1830s, The Royal Adelaide Hotel is a refined, elegant Georgian building that is strikingly attractive, with an impressive original exterior and large sash windows. The real joy of the hotel for is its proximity to Windsor Castle which is the largest and oldest inhabited castle in the world. 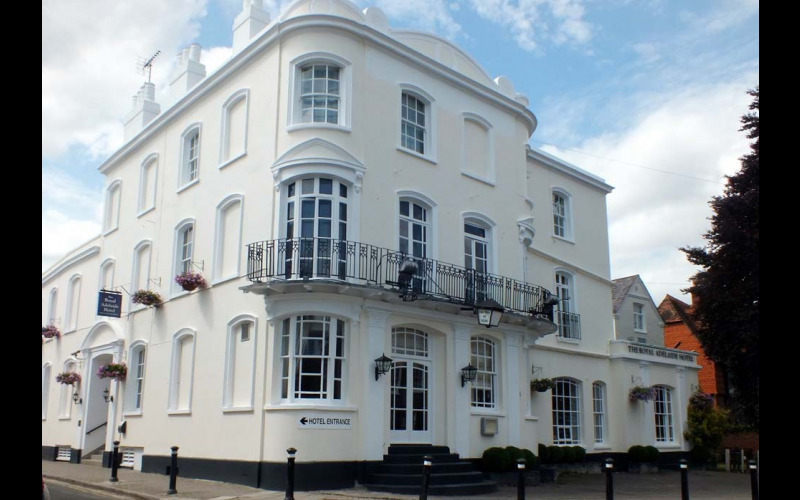 The hotel has a great location opposite The Long Walk towards Windsor Castle and just a few minutes’ walk from the shops, restaurants and galleries of Windsor and Eton. A stylish lounge and bar are on offer, as well as a brasserie serving freshly prepared cuisine using fine seasonal produce and an excellent selection of Moroccan influenced dishes such as homemade humus and lamb tagine. The hotel has 45 comfortable and stylish bedrooms complete with air conditioning, flat screen TV, Wi-Fi and room service. Comfort and friendliness are the buzz words at The Royal Adelaide. Despite its royal connections and being close to the Queen's very own castle, we want you to think of the hotel as a home from home. Not far away and ideal for kids of all ages is the LEGOLAND® Windsor Resort and the world-famous Ascot Racecourse, home of Royal Ascot in June.